Clarksville, TN – On September 15th, at 4:00pm, two Award-winning Poets gave a poetry reading at the APSU’s Gentry Auditorium in the Kimbrough Building. American Book Award-winning author and poet Rigoberto González, visited APSU to read his work. Afterwards, he introduced Amanda Auchter who read from her prize-winning collection. Her book, “The Glass Crib,” won the 2010 Zone 3 First Book Award for Poetry, an annual contest hosted by Austin Peay State University’s literary journal and the Center of Excellence for the Creative Arts. Clarksville, TN – On September 10th, 2011, Porter’s Battery was at Clarksville’s Riverfest. They had a small encampment approximately where Fort Clark was located at the mouth of the Cumberland and Red Rivers. Afghanistan – Soldiers with the Afghanistan national army conduct pre-validation training in preparation for future mission with 101st Special Troops Battalion, 101st Sustainment Brigade. Fort Campbell, KY – Former Defense Secetary Donald Rumsfeld visited Fort Campbell today to promote his new book “Known and Unknown” in a book signing held at the Fort Campbell Post Exchange. Mr. Rumsfeld has been visiting military bases nationwide to promote the sale of his book which reached the #1 spot on the New York Times Best Seller List. Proceeds from the sale of the books go to charities supporting those serving in the military and their families. Clarksville, TN – The 17th Annual Austin Peay State University Governors Bass Tournament was held Sunday, May 22nd at Kentucky Lake, with boat launches from Paris Landing, Tenneesse, State Park. The tourney originally scheduled for May 14th, was postponed as a result of extremely high waters and flooding resulting from recent rains. Fort Campbell, KY – Shortly after arriving home from Afghanistan yesterday morning the 101st Airborne Division Commander, Major General John F. Campbell and Command Sgt. Maj. Scott C. Schroeder took a few minutes to talk with the press. Topics covered include What the 101st Airborne Division Accomplished, What lessons they took from their time in the war zone, insider threats, the Haqqani Network from Pakistan, and the Osama Bin Laden Raid. 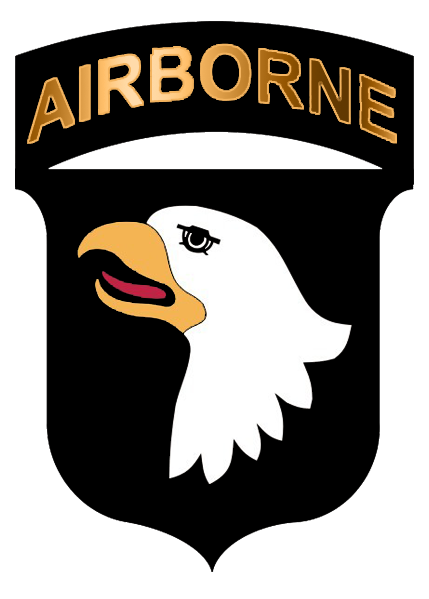 Fort Campbell, KY – Fort Campbell held a Welcome Home Ceremony today for elements of its 101st Headquarters and Headquarters Battalion; the flight included the 101st Airborne Division Flag; Fort Campbell’s Commanding General Maj. Gen. John F. Campbell, Command Sgt. Maj. Scott Schroeder, and 25 soldiers. Major General Campbell and his headquarters element began their most recent “rendezvous with destiny” in June, 2010 when they assumed responsibility and control of RC-East and CJTF-101. Their mission was to conduct combined action counterinsurgency operations to protect the population, increase the competency, capacity, and credibility of Afghan institutions and defeat insurgent forces in partnership with the Government of the Islamic Republic of Afghanistan (GIRoA) and in close coordination with joint, interagency and multinational partners. Kandahar, Afghanistan – Strike Zone Afghanistan is the TV show telling the stories of the 2nd Brigade Combat Team, 101st Airborne Division (Air Assault). The 2nd BCT, nicknamed, Strike, was called the “Tip of the Spear” by Gen. David Petraeus for Operation Enduring Freedom during its deployment to Kandahar, Afghanistan. Produced by Sgt. Joe Padula. Part 3 of 3. Balkh Province, Afghanistan – The 101st Sustainment Brigade is undertaking a major project that could prove to be a logistical game-changer for Coalition Forces and the Afghans. Produced by Sgt. Pete Mayes. Clarksville, TN – The Clarksville Police Department is requesting assistance from the public in identifying two robbery suspects. The robbery occurred May 12th, 2011, around 10:00pm, at the Food Mart, 710 Peachers Mill Road. Two males entered the store, pointed a handgun at the clerk and a customer in the store, demanded and received money from the clerk, and then fled from the store. Anyone with information is asked to call Detective Matiz, 931-648-0656, ext 1004, or the TIPSLINE, 931-645-8477.